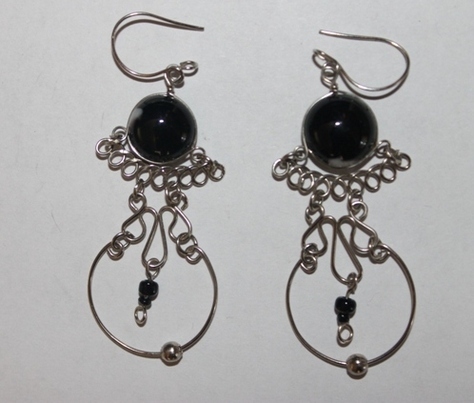 Enjoy these fabulous sterling silver and black glass earrings that would add up to your style. Delicately and elegantly styled earrings are a great gift to cherish especially on casual occasions. Treat yourself and your loved ones with these treasures.